With the exception of Christmas, Halloween tends to be a super holiday packed with high excitement for kids and adults alike. Halloween is that one night where our “littles” can dress up and pretend to be anyone or anything they hope to be. Many adults, joining in the spirit of Halloween enjoy the costume, parties and dress up as much as the “littles”. However, for the “littles”, it’s mostly about the elaborate selection of candy they get to hunt house to house for. Once darkness has fallen and the hunt is on for door to door candy, their is much that runs through a parents head. As wonderful as it is to give children much wanted sugary joy, the proverb still stands “eating anything in moderation is ok, overindulgence is not”. Candy, being a sugary treat is ok. The problem is the amount of candy typically collected on a Halloween night exceeds standard snack time limits. Nevermind the sugar high associated with lots of candy eating by “the littles” who are proud of their conquered sugary bounty. As for their teeth and avoiding unwanted cavity driven visits to the dentist, moderation is important. Halloween candy isn’t the problem, as it would be no different than eating any type of sugary snack. The issue is in the amount. Kids eat most candy in the evening and having so much to choose from brings about eating more than they should. Remember when I mentioned that sugar high from eating lots of candy? Kids being amped up on lots of sugar typically makes for a later bed time. Unfortunately being out of routine from the extra sugary energy commonly makes a child forget to brush their teeth. This gives the sugar eating bacteria lots of time to attack the enamel on your child’s teeth. The best way to protect your child’s teeth is the always remember to brush, floss and limit the sugary snacks. Regular dental visits are also important to ensure your child’s teeth are always in perfect shape. Obesity and Tooth Decay Go Hand-in-Hand? Obesity is truly becoming a plague affecting the entire planet. 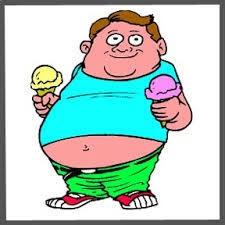 It is a condition caused when the body collects too much body fat. This condition causes a person to be unhealthy which in turn can cause various diseases as well as premature death. The truth of the matter is obesity is preventable. One out of every 3 people in the United States is affected with this horrible affliction and the problem continues to grow. So how does that affect your teeth? Eating foods with lots of calories tend to have lots of sugar. The combination of bacteria and food causes tooth decay. 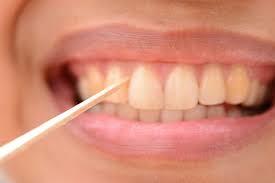 The more times you eat, the more bacteria is present in your mouth feeding on your teeth. As the bacteria feed on the sugars in the food you eat, they make acids. 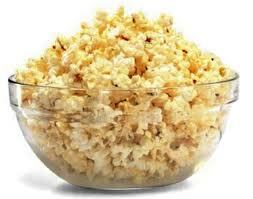 The acids attack the teeth for 20 minutes or more after eating. Over a period of time, these acids destroy tooth enamel, resulting in tooth decay. Researchers from the University of Washington School of Dentistry suggest there may be a connection between a high glycemic diet and dental disease. In other words, the high amounts of sugar found in processed foods, refined flour, rice and other products produce the bacteria that turns to acid and attack your teeth after eating. These sugars turn into plaque on your teeth and when not removed contribute to tooth decay, gingivitis, gum disease and periodontitis. The answer is simple really. Regular check-ups to the dentist and a healthy balanced diet enriched with water fresh fruits, vegetables, healthy proteins and whole grains.